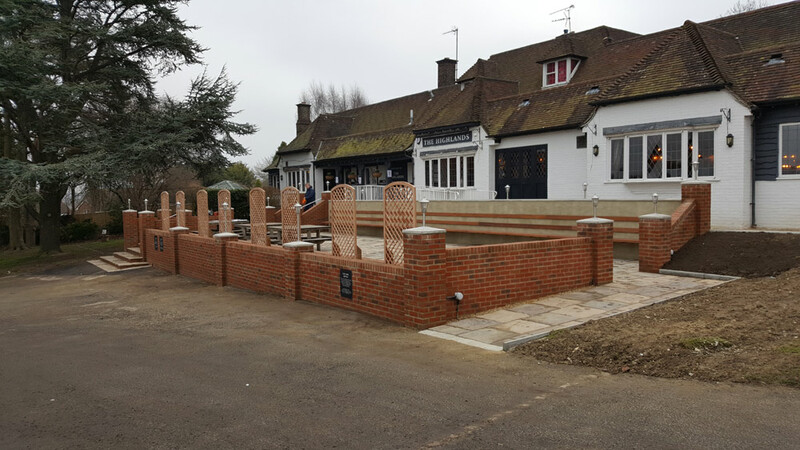 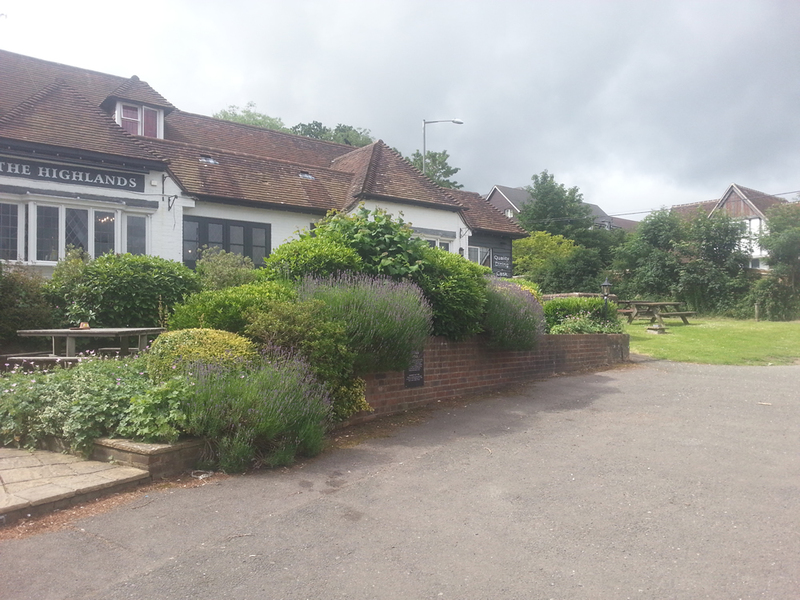 A busy pub and restaurant required a terrace for outdoor dining. 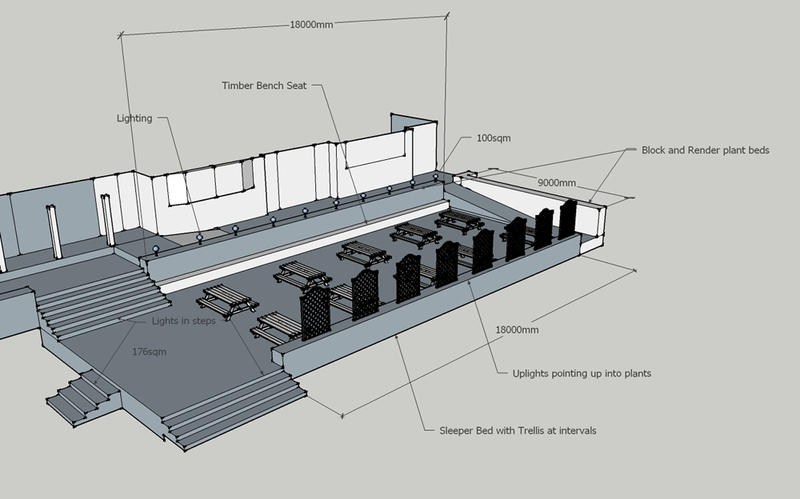 A large project which created seating for in excess of 50 diners. 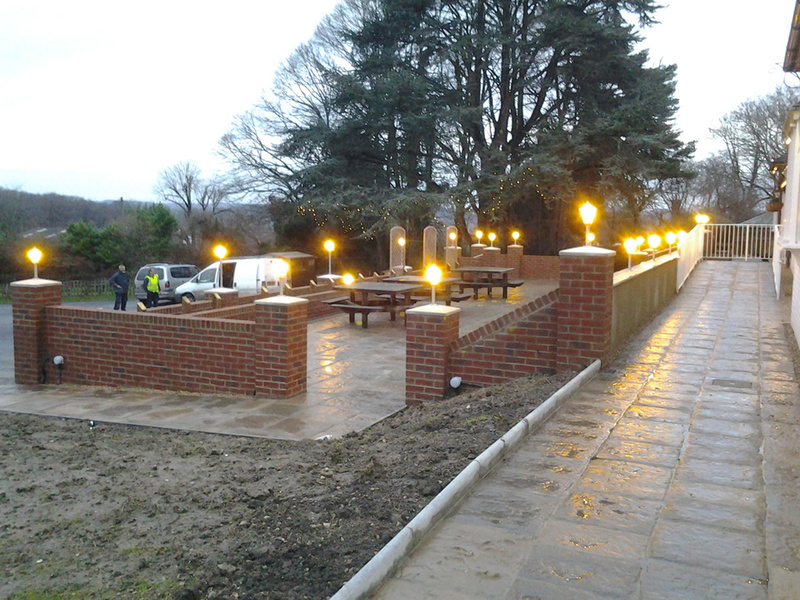 The project included a 16 metre hardwood bench, patio with steps and ramps, plant bed and lighting.